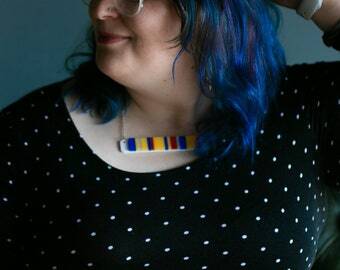 Please enter the name/word you want on the necklace. MAX 8 letters, no special characters. 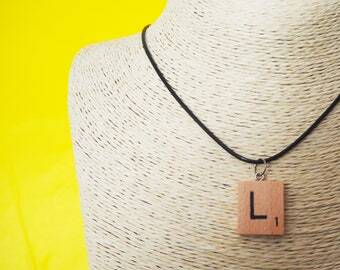 Personalised necklaces made with wooden scrabble tiles. Can be any name or word up to 8 letters. 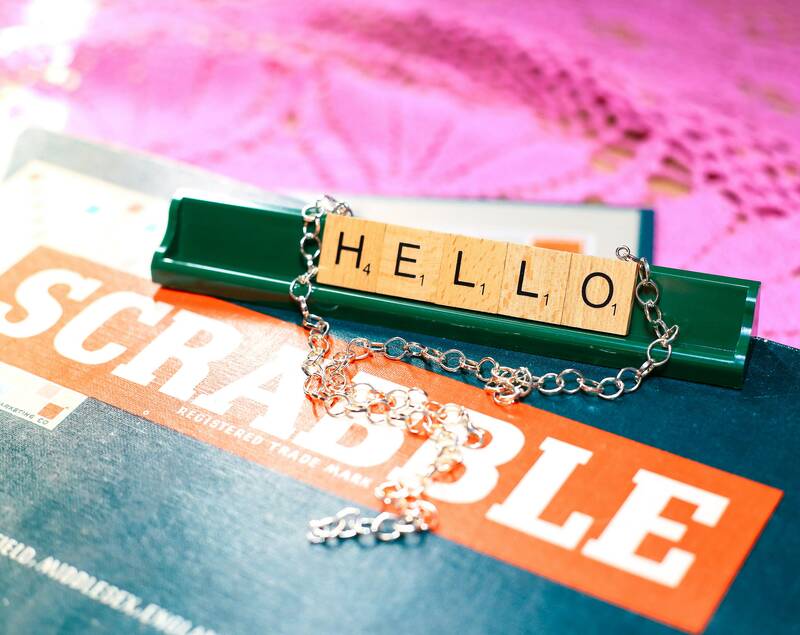 Standard scrabble set tiles (A-Z and blank) only. All are made to order, any special requests such as double row, special characters etc please contact me before you order and I will see what I can do. All Chains are silver plated and approximately 16 inches in length as standard. 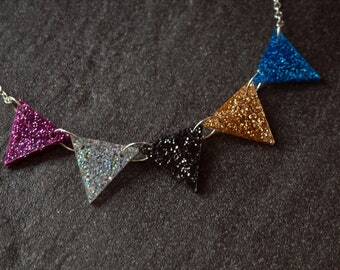 If you require a longer chain I can make it 18 inch on request, just send a note when you order. While all tiles used will be new and of good quality please be aware that positioning of typeface etc may vary. As with all handmade items each is unique and has its own individual character. Please contact me if you need your item urgently as I may be able to accommodate your request. Please note: International (outside UK) shipping times are approximate and subject to possible delays in customs.